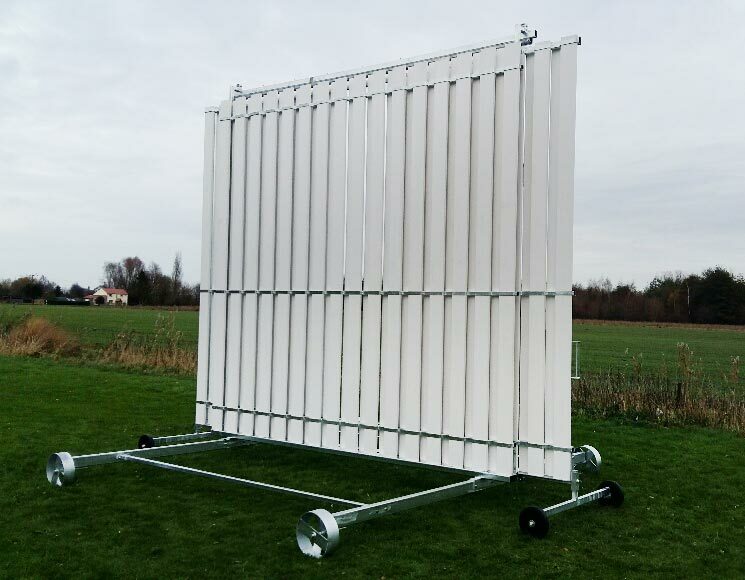 Cricket sight screens are a hugely useful bit of cricket ground kit for clubs and schools playing at all levels of the game. 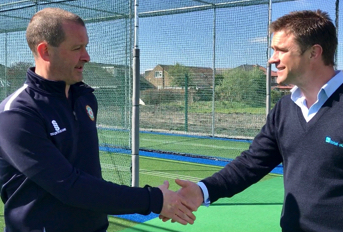 The aim of using a cricket sight screen is to aid the batsman; helping them to see more clearly the bowler and his/her delivery whilst also serving to minimise distraction from spectators. 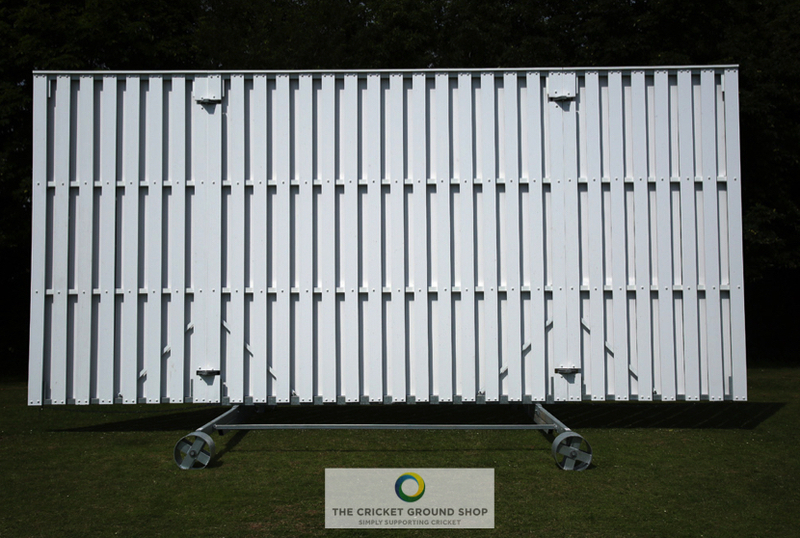 Cricket sight screens are typically solid white or black in colour depending on the type of match and level of play. 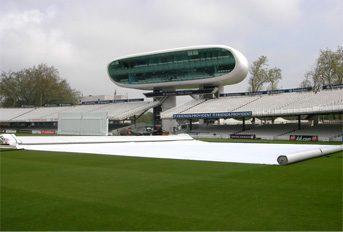 Black screens are more commonly seen in limited overs formats such as One Day Internationals or Twenty20 Internationals where the ball used is white; offering strong contrast. 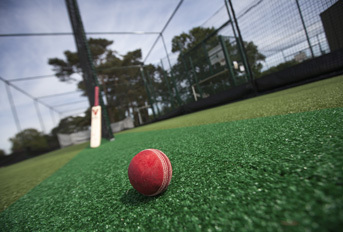 In test matches, where a red ball is used, cricket sight screens are usually white and these are probably the most commonly seen at clubs and grounds around the country. 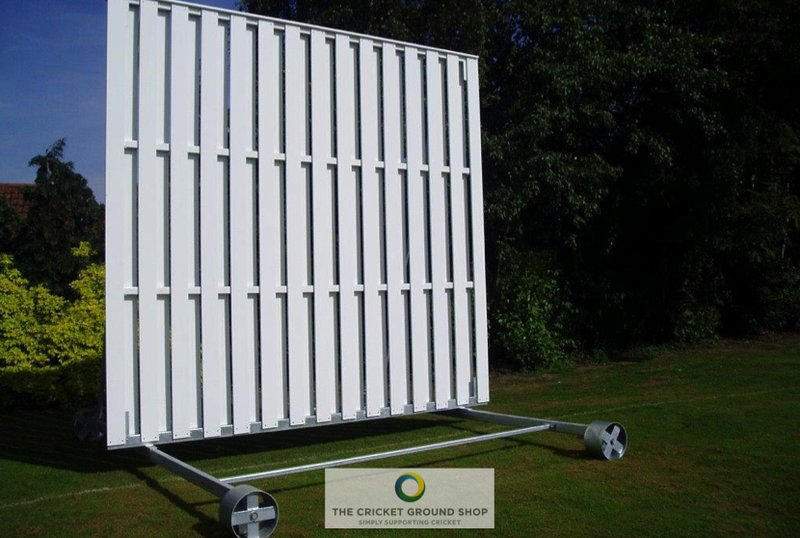 In addition to varying in colour, cricket sight screens can be made of a variety of materials – including PVC dipped mesh or tarpaulin stretched over a large wooden or metal framework, traditional wooden slats or more modern plastic composite slatted styles. 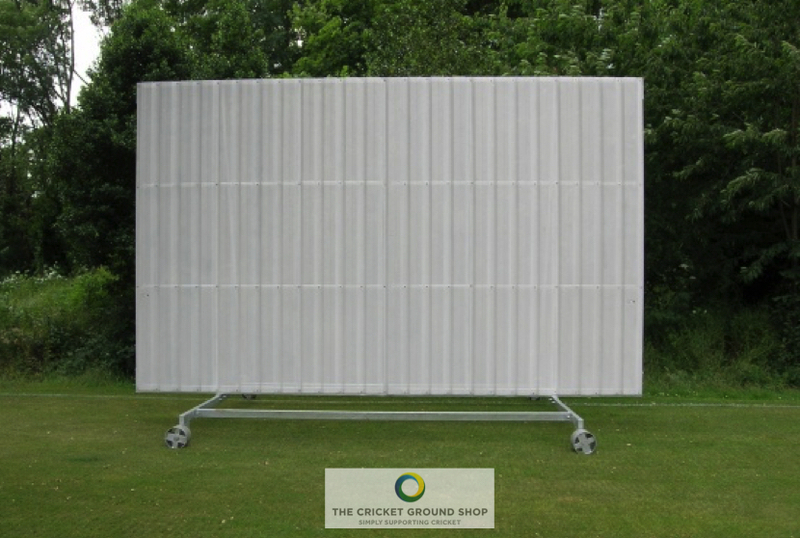 Dimensions wise, cricket sight screens are generally 4.5m high and between 4 – 8m wide depending on the manufacturer options. 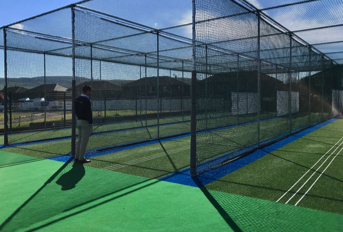 When it comes to investing in cricket sight screens, increasing numbers of clubs and schools are opting for those made of modern polypropylene or mesh over frame construction as opposed to traditional wood. 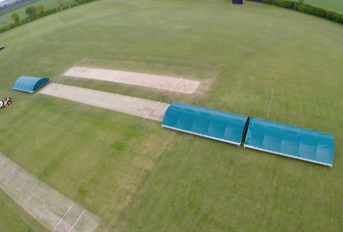 These materials have a number of benefits over wooded screens – not only are they lower maintenance (wooden sight screens need regular re-painting and repair work to stay in decent condition) but they are also much lighter, allowing them to be more easily moved around the ground. 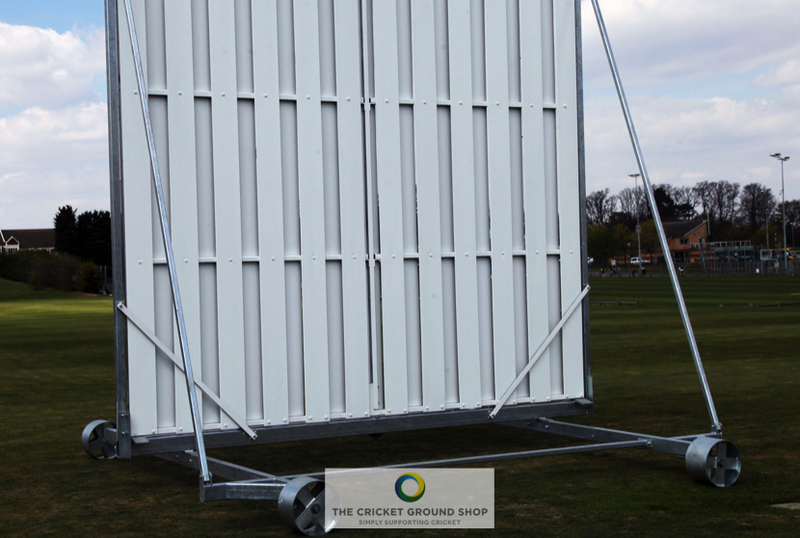 Via its online store thecricketgroundshop, total-play Ltd has developed a range of cricket sight screens to suit all levels and budgets. · Store-away sight screen A great quality sight screen at an excellent price point, ideal for those seeking a dependable screen with budget limitations. Provided with easily removable planks for winter storage or when high winds are forecast. The UPVC planks simply slot back into the frame for ease of use. Black planks can also be supplied as an optional extra. Hi-vision revolution sight screen The Hi-Vision Revolution sightscreen is a wonderfully engineered product. It is literally a revolution, in that a single user can convert the screen from the white side to black quickly and easily. 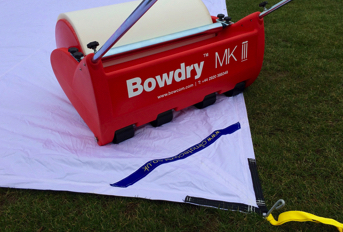 Gone are the days of trying to drape a germination sheet over a white screen. Embrace the white ball and different formats of our game. 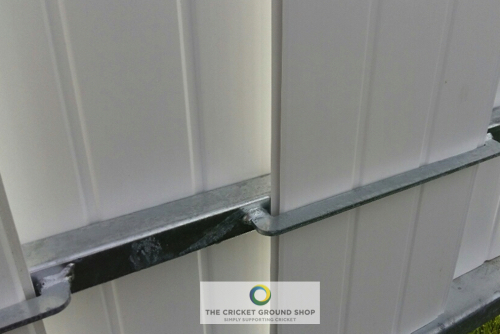 Sturdy, galvanised steelwork. Supplied with our trouble free wide no sink 325mm x 200mm steel wheels. 25mm top and bottom pivotal bearing. Also available in a super wide 8m width. Unequalled engineering for a professional grade product. Hi-Vision 8m foldaway sight screen The Hi-Vision FoldAway sightscreen is highly engineered, presenting a massive 8m width of screen with the benefit of folding wings which reduce the width by half for storage when not in use. Sturdy, galvanised steelwork. Supplied with our trouble free wide no sink 325mm x 200mm steel wheels. Unequalled engineering for a professional grade product.